It's been a long time since we've heard from Bashy, but it's good to hear him back! Bashy gives us ‘These Are The Songs’ the first cut from his much anticipated forthcoming EP. Bashy reminisces on the days that he used to record songs off the radio to vibe to on his phone later on, before we discovered MP3. He samples Danny Weed's classic ‘Creeper’. Bashy pays homage to the classic Garage songs that made up his summer back then, Lethal B's ‘Pow’, Mo Fire Crew's ‘Oi’, Oxide & Neutrino's ‘Your No Good For Me’, Eskimo Dance, Artful Dodger's ‘Rewind’, So Solid Crew and a few other Garage classics with Jareth singing on the hook. 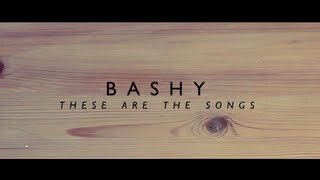 Taking it old school with the whole classic garage music, Bashy is bound to tear up the clubs and radio airwaves with this song - and it's going to be a favourite. Hearing this song just will just automatically take you to your childhood summer days and I'm already loving it and taking trips down memory lane. This Autumn will see Bashy in a leading role alongside Kano and Ashley Walters in the much talked about second series of Channel 4 drama ‘Top Boy’. ‘These Are The Songs’ will be out on September 8. Be sure to support the movement. This is the Summer anthem.